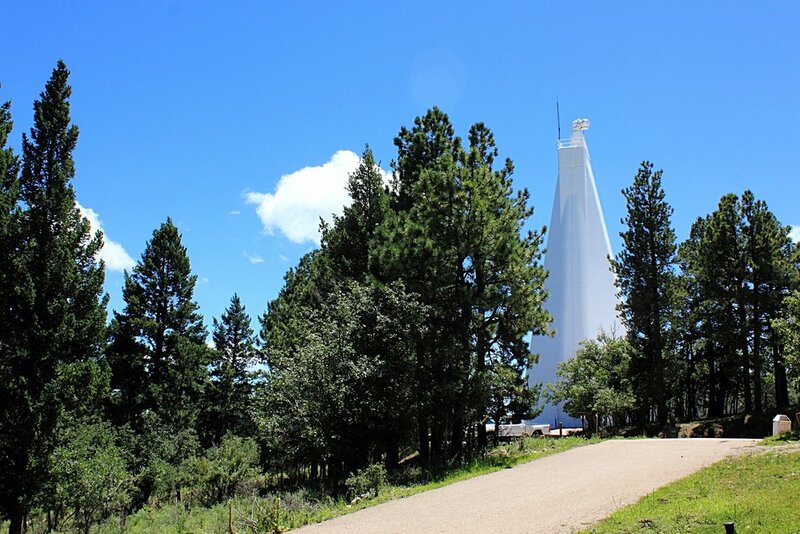 Located in the heart of the scenic Lincoln National Forest, Sunspot Solar Observatory has been a premier facility for solar research since its establishment in 1947. The Dunn Solar Telescope (above), built in 1969, remains to date one of the best ground-based solar observatories in the world. Located at an altitude of 9200 ft in the scenic Lincoln National Forest, Sunspot Solar Observatory is home to gorgeous vistas, historical landmarks, and one of the largest active solar telescopes in the world. Learn about the history surrounding the observatory, its establishment in 1947, the various historic telescopes on the site, the community of Sunspot, and the future of the site as we move forward into the future. Learn about the unique, state-of-the-art instruments we use to study the Sun, contributed by universities all around the world. Our unique telescope design allows for a high degree of flexibility in our instrumental use and setup. Check out our Instagram, Twitter, or Facebook Page for up-to-date information about the site! #sunspotsolarobservatory is proud of our past summer interns Sarah Kovac & Sean Sellers for receiving this grant. We wish you the best as you continue your research on #solarflares! #sunspotsolarobservatory was honor to host several distinguished guest from #newmexicostateuniversity. NMSU dignitaries received a behind the scenes tour of #dunnsolartelescope and observatory ground. Go Aggies!